Offering you inspiration, stories and recipes from the most distinctive makers of today. Who refresh the world by leaving their mark in a unique and refined manner. 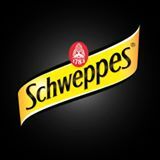 Just like our founder, Jacob Schweppe once did when he brought water and air together in 1783 creating a refreshing drink called Schweppes. Schweppes, for the makers of today.